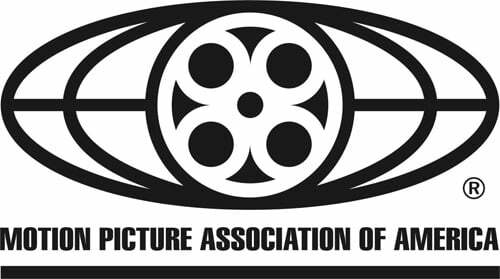 At The Awards Circuit, Terence sparked some discussion with his article In Defense Of: The MPAA. Dan reccommends The English Patient in his latest post for Movies That Everyone Should See. Tom gives a rave review for Slumdog Millionaire, which is yet another victim of undeserved post-Oscar hate. Shawna featured a great scene from Spellbound, one of Hitchcock's lesser known films. 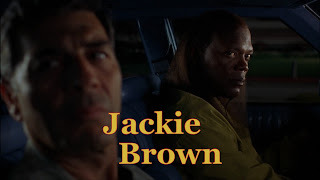 We're back again for another edition of Hit me with your best shot, as we delve into some Tarantino with his 1997 film "Jackie Brown". To be honest, this proved to be quite a challenge. 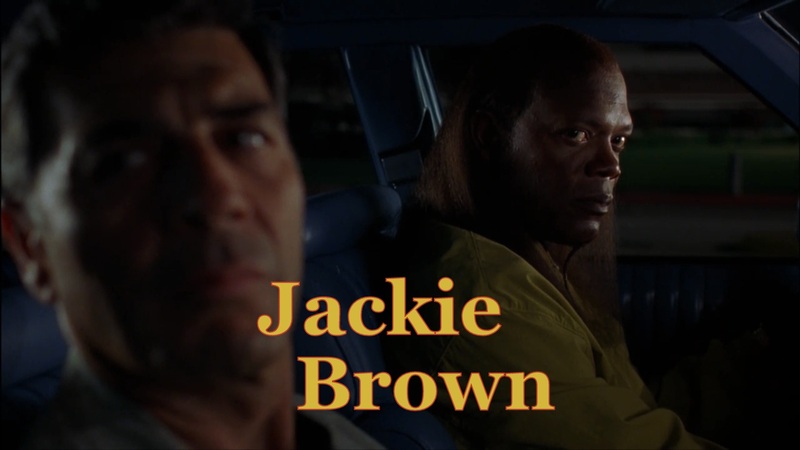 This is perhaps one of Tarantino's least visually dynamic works and as such, it was hard to pin down a striking image. That's not to say it's a poorly made film though. On the contrary, it has many of the elements that we have come to love from this director. Namely, there are the interesting characters, memorable dialogue, clever use of music and his dark sense of humour. In selecting my shot, I focused on that first element. At last, I have finally made it through Steven Spielberg's full filmography (well, except for his lesser films like "Hook" and "Always"). 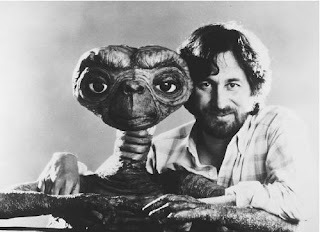 These days it seems hip to discount Spielberg's talent as a director, but watching "Close Encounters of the Third Kind" re-affirmed by opinion that he's one of the absolute best. This seminal sci-fi flick shows Spielberg at his prime, crafting a thoroughly entertaining adventure. The film follows Roy Neary (played by Richard Dreyfuss), whose life changes after he encounters a UFO. As he seeks to find the truth, we ourselves become immensely fascinated by the various extraordinary occurrences. The intrigue of the film rests on this sense of mystery and wonder, providing wide-eyed escapism at its best. Despite the grand scope, it actually turns out to be one of Spielberg's more restrained efforts, as the excitement builds from the thematic elements that surround our impending encounter with extraterrestrial life. It's less of an action-adventure and more of a quiet character study. Specifically, we only see brief glimpses of UFO's and much of the plot doesn't feature any direct interaction with aliens. Despite having an identifiable lead role, it all boils down to our collective psychology as human beings. Throughout history we have been obsessed with the possibility of a civilized world outside our own. Even if we haven't actively sought out UFO's and life on Mars, we've all wondered what's out there in the vast cosmos. This film seeks to fill this void in our understanding, but in a artfully subtle way. As a result, it opens up your imagination and becomes quite thought-provoking and ethereal. Spielberg's companions behind the camera contribute greatly to the transcendent aura of the film. John Williams composes one of his best scores that captures the grandiose themes without over-embellishing with obvious melodic tricks. The cinematography is also spectacular with some gorgeous shots littered all through the film. Last but certainly not least, the special effects are well done and hold up surprisingly well today. These elements all come together to greatest effect in the ending sequence of the film which is so beautiful that it's almost Malick-esque in it's construction. It really struck me on an almost spiritual level with the combination of breathtaking visuals, intelligent writing and memorable score. In front of the camera, the actors do fine work too, but they are really just there to service the director and his story. To that end, this is a great example of a "director's film". One of the common criticisms of Spielberg's works is his penchant for sentimentality. In this instance however, the plot development is so patient that the emotional climax is well-earned. Even with a slightly ambiguous ending the ending, you are left completely satisfied. When you think of auteurs, Spielberg doesn't immediately come to mind. When it comes to delivering quality "blockbuster" entertainment though, he's a true genius and fully deserving of this title that is usually reserved for his arthouse colleagues. 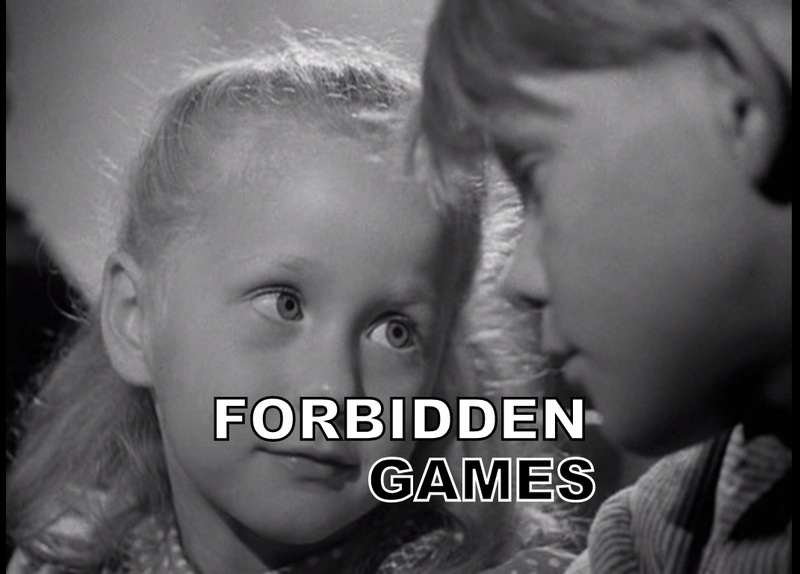 For this week's Hit me with your best shot, we looked at one of the earliest Oscar honorees for Best Foreign Language Film - "Forbidden Games". I had actually never heard of the film before and it wasn't exactly what I expected. It was quite good, but it was a lot more sad than I imagined it. Set during World War II, the threat of death seems to be omnipresent. The film focuses on 2 children (Paulette and Michel) from different social backgrounds who unfortunately have to deal with death at their young age. 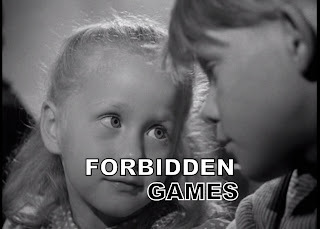 It's certainly not pleasant, as Paulette becomes abruptly orphaned in the beginning of the film after a Nazi air strike. In addition, her beloved dog Jock is also killed. Likewise, Michel suffers through the death of a loved one during the course of the film. With death being such a powerful theme, my favourite shot inevitably related to this stage of life. This week on Hit me with your best shot we look at a rather peculiar film - 1968's "Barbarella". This Jane Fonda vehicle is set in a very bizarre future universe, where the atmosphere is filled with constant sexual energy. From the slow striptease intro all the way to the end, the film never loses sight of this sexually suggestive tone. Combine this with outrageous sci-fi elements and you get a fascinating curio of 1960s culture. Although the film is set in the distant future, it's clearly informed by the hippie counterculture movement of the 1960s. It's all there - sexual freedom, female empowerment, psychedelic drug use and anti-war sentiments. Even the music is obviously representative of that era. Ultimately, its B-movie sensibilities proved to be too much for me, but there were definitely some amusing parts. In particular, the sexual innuendo leads to many funny moments. After juggling through my various options, I eventually landed on a shot that indirectly relates to this eroticism. Sometimes you just gotta go back to the original. 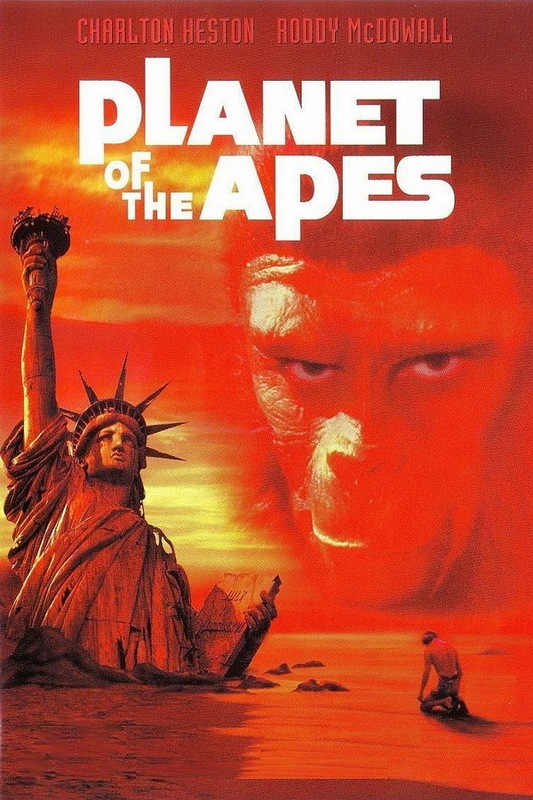 Having only watched the 2 most recent versions of the Planet of the Apes film franchise, I convinced myself that I had an adequate knowledge of this particular cinematic story. I was wrong of course, because I finally watched 1968's "Planet of the Apes" and it's truly a great film that is the essential adaptation of the story. I had avoided it for quite some time, expecting a cheesy old-fashioned trifle, but this was far from that. From the first scene I knew that this would be a respectable film. It gets right to the point and sets the stage for the riveting film to come. The plot begins with a crash landing of a trio of men (lead by Charlton Heston) on a mysterious planet. Unbeknownst to them, this planet is actually earth, but not the one that they left behind upon their space exploration. The planet has been taken over by evolved apes, in an alternate reality where humans are now at the bottom of the hierarchy of living creatures. While the apes have become civilized and possess the ability to talk, the men are somehow mute and exhibit primitive behaviour. Admittedly this peculiar transition of mankind isn't convincingly explained, but it's a fascinating concept. The tables have turned and we are mistreated similarly to the way that we currently deal with caged animals. As the lead actor, Charlton Heston is the perfect surrogate for the audience, as he somewhat fights for the rights of all of us as human beings. He gives a very strong performance, once again proving that he is one of the most capable leading men to ever grace the screen. As he endures the challenges of overcoming the ruling apes, the film delivers the best elements of almost every genre. Using kinetic camerawork with stunning images, this is an exciting action-adventure, drama, science fiction, mystery, horror, thriller and fantasy film all wrapped into a well-made package. Of course, there are certain aspects of the film that feel quite old-fashioned. The music and sound effects are particularly dated (it can be quite overbearing at times) and the ape makeup is slightly comical in its design. These are just minor flaws though, as it doesn't detract from the compelling story. This compelling story is the key to the timeless nature of this film. Many may come to this film for the fun action elements, but what truly stands out are the rich themes that it digs into. One of the most curious plot elements is the social context of this ape world. Despite superseding the previous advanced human civilization (the film is set in the year 3978), they are surprisingly stuck in an ancient pre-Enlightenment way of thinking. The leaders emphasize the importance of the religion, based on their sacred "scrolls" and reject the scientific evidence of human intelligence that Heston's character clearly provides. This medieval "science vs religion" debate clearly hinders progress and it's amusing to see it reemerge in a future reincarnation of civilization. In a way, this intentional impeded progress almost seems like a deliberate ego boost to us as a species, as the apes seemed unable to replicate our "success". They have yet to develop advanced forms of technology, most notably with their lack of modern methods of transportation. However, this idea of man's evolutionary "success" lays the foundation for a rather brilliant ending to the film. In a great bit of philosophizing, the central ape leader reminds us of the catastrophic effects of our destructive behaviour. Fueled by greed and selfishness, we have used our technological power to cause immense harm. As a result, the film concludes as a profound cautionary tale that really gets you thinking about how we interact with each other and the natural world in general. Even 45 years later, this message is very relevant (even more so) and it comes through clearly without being too preachy. For this reason and more, it's easy to see why "Planet of the Apes" is such a revered classic. Dan shared his appreciation for a great filmmaker with his list of The Top Ten Steven Spielberg Movies. Shala revived the popular "In Genres" series and compiled some great recommendations for films set in London. Tom reviewed one of my absolute favourite films - The Apartment. Courtney ruminates on Tyler Perry's influence and wonders who is The Face of Black Cinema. It's time for another season of Hit me with your best shot! 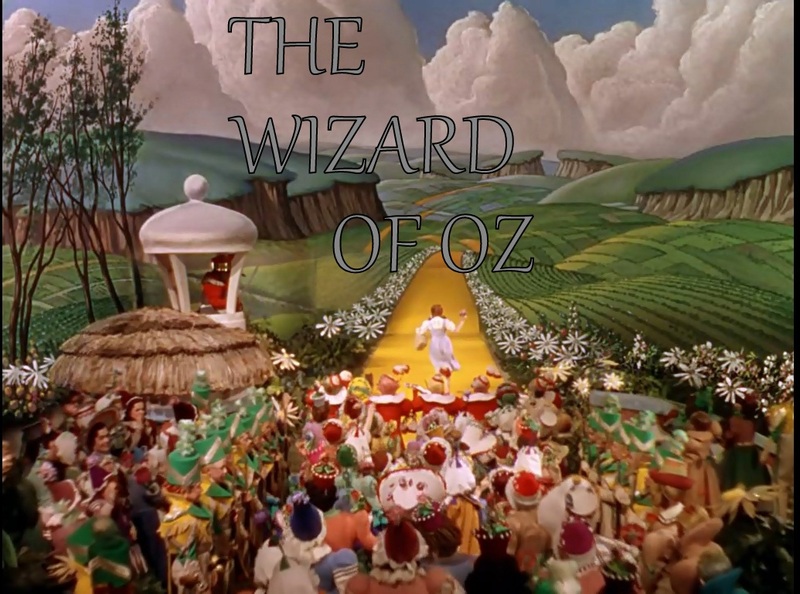 Nathaniel starts us off with a bang, as we look at one of the greatest visual spectacles ever - "The Wizard of Oz". This foray into Dorothy's vivid imagination is filled with beautiful costumes, great art direction and cinematography that really makes the colors pop. 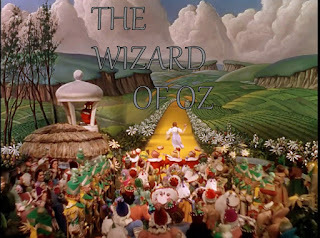 When Dorothy opens that door to Oz, that burst of technicolor still takes my breath away on a repeat viewing. Choosing a best shot for this film was surprisingly difficult for me however. In my opinion, the film is altogether gorgeous but there aren't really any powerful individual moments to capture. 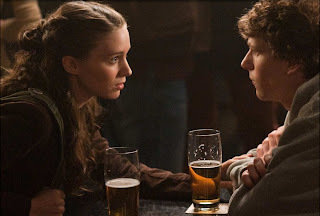 When I finally narrowed down my choices I selected an image that juxtaposes the prior cheeriness of the plot. Firstly, let me apologize for the lack of posts last week. It was a combination of a very busy work week and a general lack of movie-watching on my part. Have no fear though, everything should be back on track as I return with my latest choice for Movie of the Week - "Carlito's Way". Brian De Palma, Al Pacino, Sean Penn...sounds like the recipe for a campy film right? Well, it turns out that De Palma was able to tame down his "Scarface" technique to create a crime drama that is surprisingly grounded. "Carlito's War" recounts the story of Carlito Brigante, a former drug kingpin who has just been released from prison. Upon his release, he decides to turn over a new leaf and retire from the crime underworld. Of course, we soon learn that leaving your past behind is no easy task. Due to the casting of Pacino, it's hard not to compare the film to that seminal classic "Scarface". Once again, Pacino is playing a Latin American and he is a main figure in the drug scene. In a way, this is an alternate version of the "Scarface" storyline, as you can somewhat imagine that this film is a pseudo-sequel, assuming Tony Montana became incarcerated. This is a welcome change in interpretation though, as the characters and general tone of "Carlito's Way" find a nice groove that lies just below the campy heights of that 1983 film's delirium. The result is a film that is altogether moving, contemplative and thought-provoking.